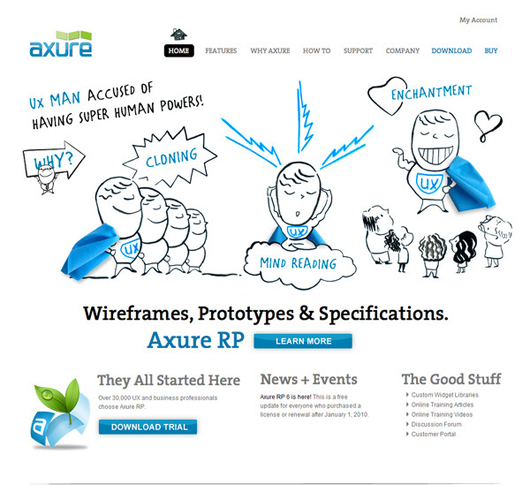 As website designer when we work as freelancer, client satisfaction is much important when we got Job Description and start work as professional designer and things on high day by day when client ask about ideas before any implementation with creativity and imagination, statistic that vision creates prospects in the playing field of promotion, wireframing and prototyping remain certainly in the list of useful wireframe tools. 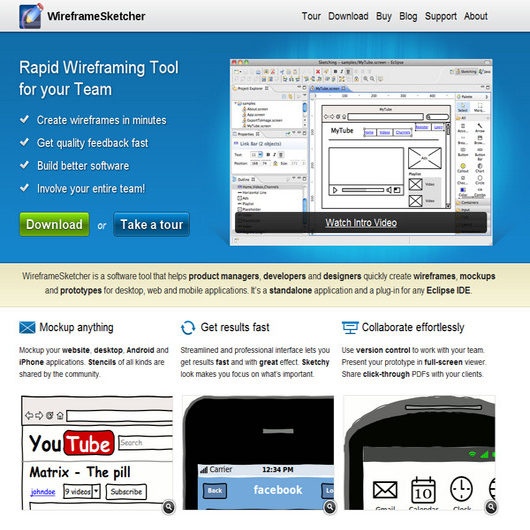 Wireframe techniques make easier to connect ideas for reduce time and cost and allow greater straight usability and functionality testing afore implementation. 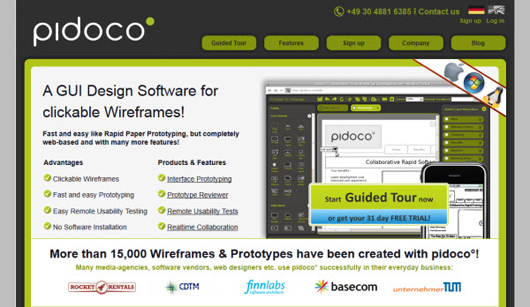 We must download free wireframe tools and present best ideas then put live to get user feedback. 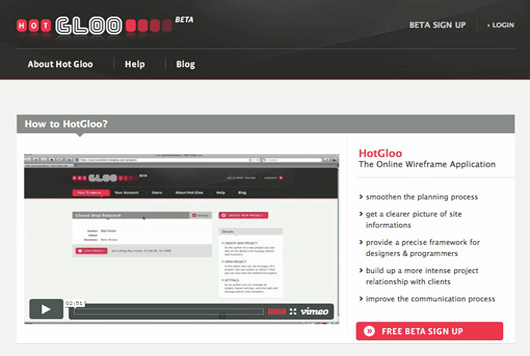 HotGloo, currently available to users for free while still in beta, is an online wireframing tool that focuses on producing mockups as true to the final product as possible. Where other programs lean towards simulating the creation of a mockup by hand and the ‘rough’ flexibility that comes with it, HotGloo aims to generate a framework as clear and precise as possible. 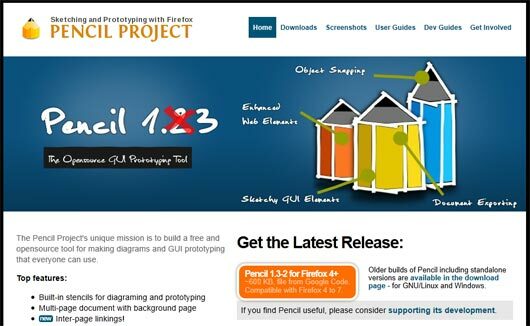 Pencil is a free add-on for Firefox that enables users to create detailed diagrams and GUI prototypes. 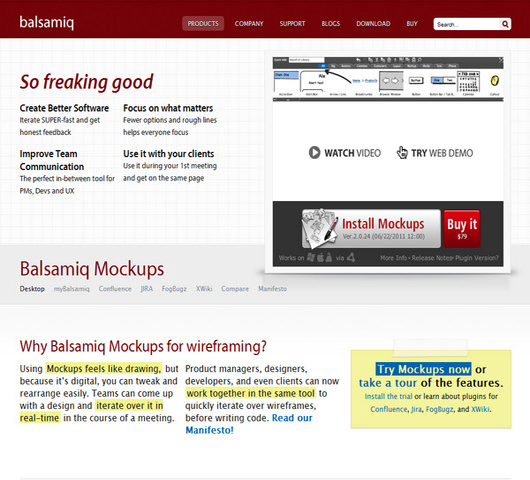 It boasts a number of useful features, including built-in stencils that make design both easier and more professional, and inter-page linking, which allows the user to create detailed site prototypes. 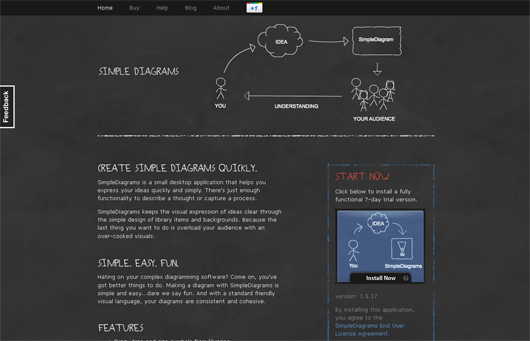 SimpleDiagrams is a small desktop application that helps you express your ideas quickly and simply with just enough functionality to describe a thought or capture a process. 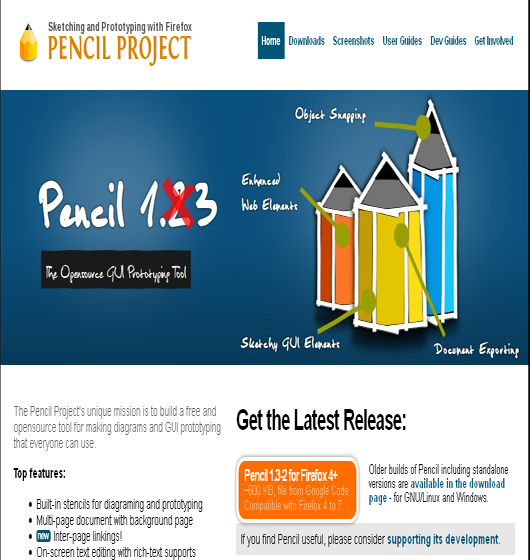 It’s built on the Adobe AIR platform, so will run smoothly on Mac, Windows and Linux. 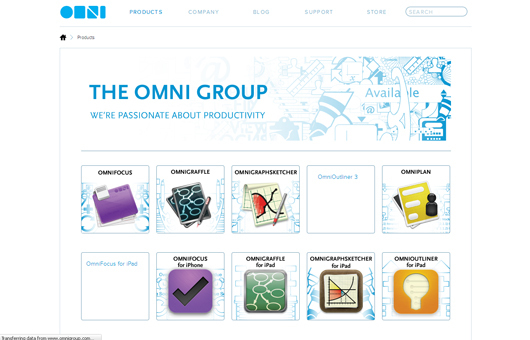 For web developers or designers running on a Mac, Omnigraffle is an award-winning yet simple-to-use program that produces graphics, diagrams, page layouts, and fast mockups of your website in progress. 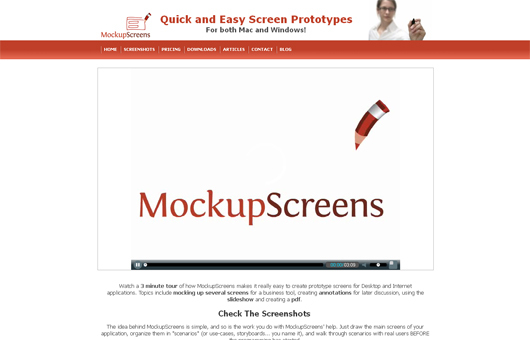 Mockup Screens does more than just allow you to create mockups of your pages. 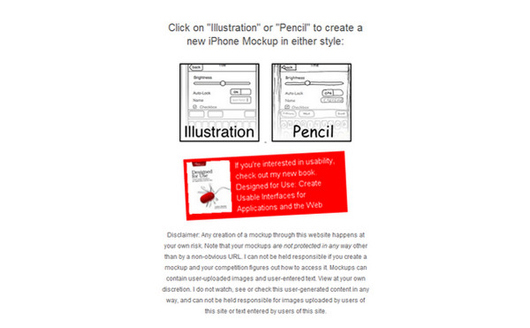 The mockups you produce allow you to be ‘experimentally interactive’ with your clients by ordering your mockups into scenarios, the result being testable prototypes that your clients can view and provide feedback for in real time. The stakes are perhaps a little higher for designers in the business world, as multinational companies have to make sure they get their web development right the first time around. 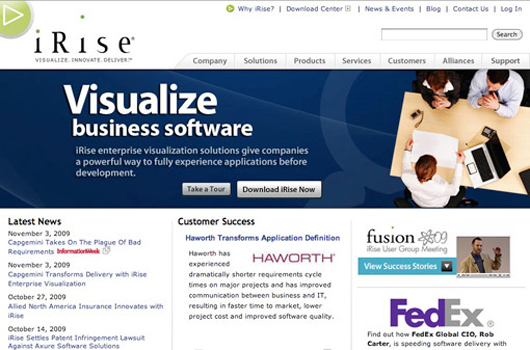 iRise specializes in web development for such businesses, simulating the workflow and the basic behavior of proposed business applications by combining the direct input of all stakeholders in order. 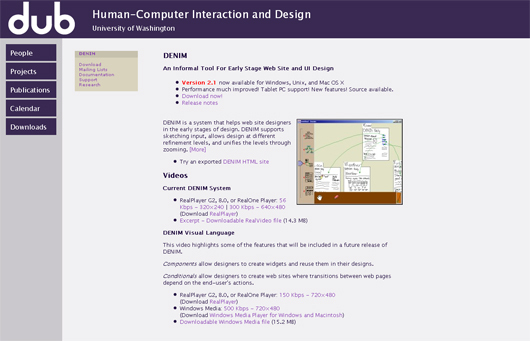 Denim is a free multi-platform desktop app that supports sketching and allows design at various refinement levels. 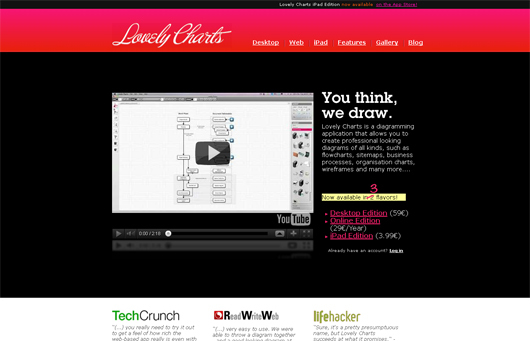 It’s an efficient tool for early stage brainstorming and wireframing. 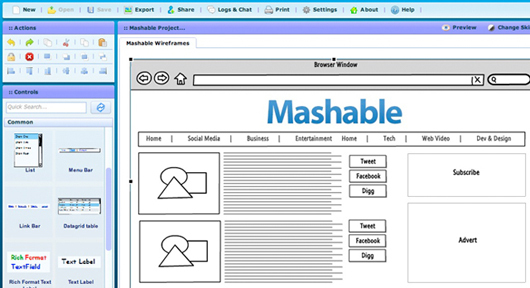 A big hint at the key aims of the Protoshare tool can be found in its name—prototypes that are easily shared. 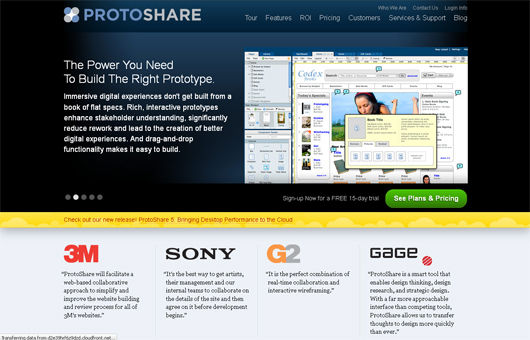 Protoshare is aimed at projects with input from a number of sources, from clients and managers to web designers and marketing departments, and businesses that need new sites or applications up and running quickly and exactly according to plan. 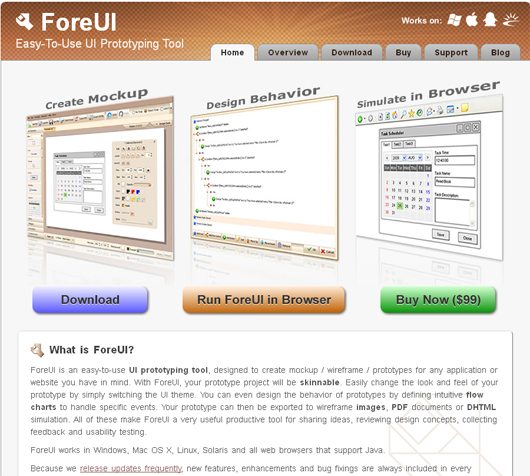 ForeUI is a tool dedicated to creating UI prototypes quickly and easily. 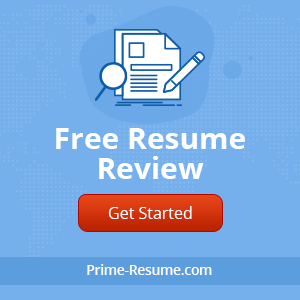 Where other tools look to appeal to development on a large scale (in particular when it comes to businesses) ForeUI also caters for clients with much more simple requirements. 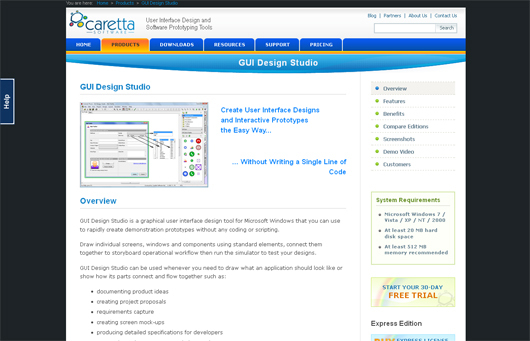 For Windows users only, GUI Design Studio is a comprehensive graphical user interface tool, handy when working on a variety of projects, from documenting product ideas to creating screen mock-ups. 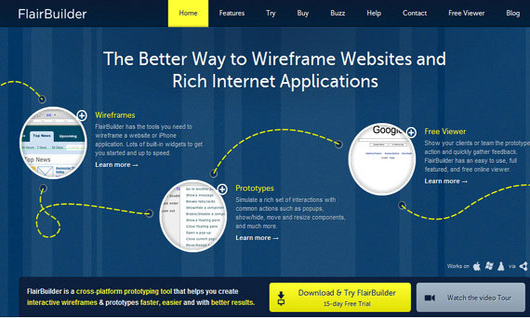 Hey, thanks for mentioning FlairBuilder! Mockingbird looks cool. Nice post. 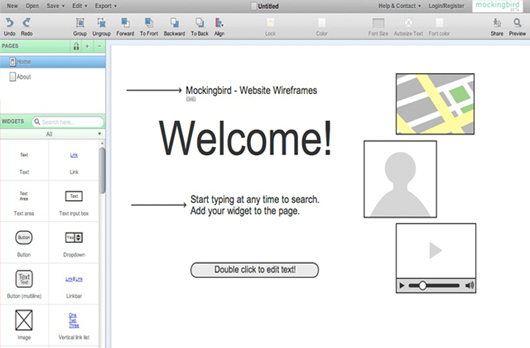 You forgot Keynotopia Created by a designer and past program manager, the templates allow users to use Keynote, PowerPoint, or OpenOffice to quickly create wireframes that can be turned into high fidelity/pixel-perfect designs with just a few clicks. The prototypes (low or high fidelity) can be made interactive without any code, and we’ve gotten great reviews from customers in 80 countries who have used them for testing, presentations, and client work. Feel free to check out our reviews and to let me know if you have any questions! I have started a local business, Brantford iPhone Repairs. We repair smashed iphone screens, backs, speakers, buttons and anything else that may break during use of your iPhone. We will soon offer mail in repairs so I thought it would be good to spread the word incase you know someone who may find this service useful. Thanks!